Sell My Samsung Galaxy S4 | How Much is My Galaxy S4 Worth? How much is a Galaxy S4 worth? 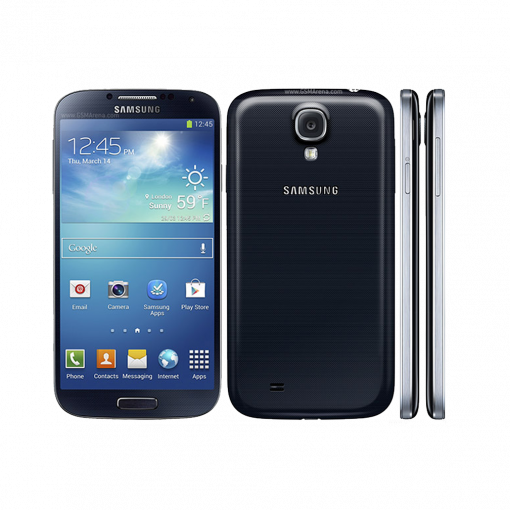 Select the information above in order to receive an accurate quote for your Samsung Galaxy S4 cell phone. Click sell item if you agree with the price that is displayed. GreenBuyBack purchases cell phones and tablets at the highest prices in the industry! GreenBuyBack pays cash for your old cell phones and tablets. When you sell your cell phones or tablets to GreenBuyBack you will never have to pay shipping. GreenBuyBack is dedicated to maximizing the cash back to our customers. Sell your Galaxy S4 for cash today! Samsung released the fourth generation of its Galaxy smartphone in March 2013 with the goal of taking on the infamous iPhone from Apple. Many people gathered full of excitement to get the latest generation of Galaxy technology of Samsung. The price started at $600 because of its new features that provided value for its customers. The Galaxy S4 runs in a new Android system with 4.2.2 Jelly Bean operating system for mobile devices. The physical design is slimmer and lighter compared to the Galaxy S3, which is the Samsung Galaxy third generation model. Samsung enhanced the previous model to a smarter phone that uses a Gorilla Glass 3, which protects it's superior screen with a measurement of 5 inches. It has a 1080 Super Amoled feature panel that provides 441 pixels per inch density. The fourth generation of Samsung Galaxy is powered up with a quad core processor along with a 2 GB of RAM. It provides and supports 4G LTE and Bluetooth connectivity that makes connection fast and easy.